A quick note: I only share links that I love and personally use. This post contains affiliate or commission links which may support the Friendship Bread Kitchen if you click or buy. Thank you! Looking for something to bake, but trying to cut out sugar? We’ve got you covered. This sweet, low-sugar Amish Friendship Bread uses sugar-free ingredients to yield a moist, cheesecake texture without the sugar overload. Sugar-free vanilla instant pudding can also be used in this recipe; however, the cheesecake flavor seems to produce a more moist bread. Looking for something to bake, but trying to cut out sugar? We’ve got you covered. 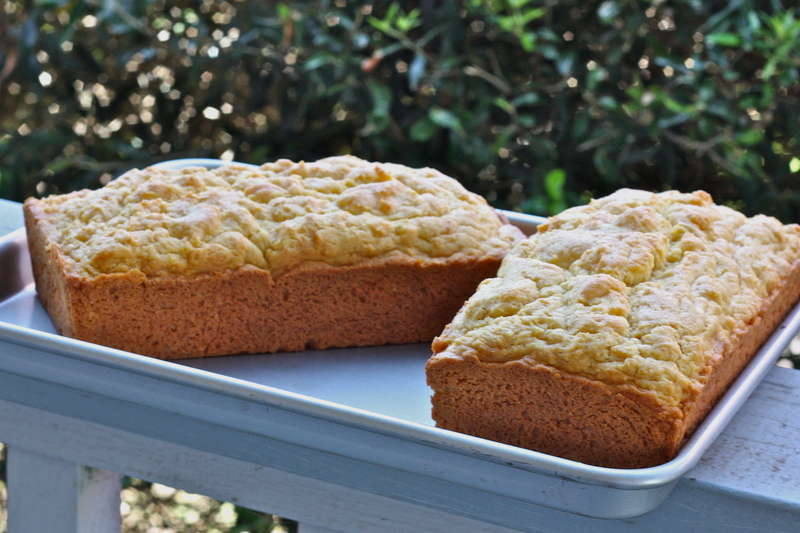 This tasty, low-sugar Amish Friendship Bread uses sugar-free ingredients to yield a moist, cheesecake texture without the sugar overload. Where can I find sugar-free instant pudding ?? never seen any sugar free instant pudding at grocery store, they do not seem to be available in Canada… only the refrigirated Jello ready to eat no sugar added pudding…. Can I use this one ? or do you have any other suggestion ? This is great, I made my own version of this before I saw a recipe. I keep a friendship bread starter as well as a sourdough starter. I’ve got to make this for me and my daughters. I know we’ll love it. I just made the starter, and I used a metal whisk. Is that going to ruin the start? Should I discard it and start over? And, if I freeze a cup of starter on the 10th day, when I want to use it do I just thaw it and make the bread. I don’t have many friends who share my love for baking. i have often had this problem of not being able to bake on the 10th day, would like the option to refreeze, what do you mean by “feed” it before baking? You can read about this on our FAQs, Gwen, but in general it helps to take your starter out a couple of days before you want to bake and let it “activate” again by bringing it back to room temperature for a few days and then feeding it (as you would on Day 6 or Day 10, depending on how much starter you want to share afterwards). If you don’t want to give out starter, then just bring your frozen starter back to room temperature, give it a couple of days, and then bake. You can bake with it on the same day it comes back to room temperature, too, but you might notice slightly better (flavor) results if the yeast is allowed to get going again. I know this one is old but, if the whisk was newer or didn’t have any scratched up or worn spots it should be fine, I forgot once and used a metal spoon to stir my starter and it survived. And yes, just thaw the starter and feed it the top section of the day 10 instructions (milk, sugar, flour or if you are doing sugar free the milk and sugar) and continue on. If you are going to freeze it I would feed it after you thaw and let it stand in a warm spot covered with a towel for about a half hour to let the yeast wake up again and get bubbly. Remember, the oldest “starters” were probably often stored in tin pails and stirred with whatever was available. It doesn’t effect the outcome at all (in my experience). I’ve made AFB often in the past & (though not a ‘true baker’) I was always trying to make it healthier. I used a 3-1 sucralose/sugar blend, egg substitute, skim milk, sugar-free pudding, no-sugar-added applesauce instead of oil, & a half & half or 3/4-1/4 whole wheat/white flour blend. Most of the time, everything turned out well – but, sometimes it didn’t (& I never knew why). When using the sugar-free starter & replacing ALL the sugar with sucralose, do you lose any of the bread’s quality? Is it heavier with a coarser texture? I’m about to start holiday baking & hoped you could guide me. PS – I use the baking soda, vanilla, salt, & baking powder, too…was just noting in my 1st post the healthier versions of the other ingredients. Does anyone know why Cinnamon is omitted from the sugar free Friendship Bread version? Mainly because this variation uses a cheesecake pudding flavor as a base — you could certainly add it back in, especially if you use the sugar-free vanilla variation. Hi Gwen, check our FAQs — we talk about this over there. Good luck! I’d share this with a friend. How do you make a sugar free low fat starter?? Whats the recipe for the SUGAR FREE STARTER? It’s not sugar free if you use the original starter. Can anyone provide me a recipe for a sugar-free starter? Thank you! How do you make the starter sugar-free? Do you put Splenda in the starter instead of sugar? Just leave the sugar out, Lisa. Splenda contains sucralose which does not appear to metabolize with yeast (regular sugar feeds yeast), so better to leave it out of your starter. Finding a sugar free starter recipe has been impossible. I have two diabetics here and have been making amish bread for a long time. I have made my starter the regular way and have just been omitting the sugar from the recipies on baking day. Which of course isnt totally sugar free due to the sugar in the starter. My family absolutely loves baking day and I really need a sugar free starter so I just want to make sure I understand. When you say leave the sugar out, do I just make my starter from day one the regular way and on feeding days only add milk and flour. I thought sugar had to be in it in some form for the yeast to do its job right. I tried making the starter with splenda and it doesnt work well at all and I ended up throwing it away. Hi Belinda! So a couple of things: first, Amish Friendship Bread starter is just like a traditional sourdough starter except that we give it a BIG boost with commercial yeast and extra sugar (in the milk as well as cane sugar). So if sugar is a problem, make the starter with only yeast, flour and milk. If the sugar in the milk is too much, use water or a nut milk alternative if you do that. The starter will have to work a little bit harder to grow, but it can be done (traditional sourdough starters are just water and flour). Second, you can then use sugar-free baking ingredients for any recipe (like Splenda). Those sugar alternatives don’t work in starters as the chemical composition is different, but if you use it in other cooking, it should be fine for baking. Does this help? I’m not a doctor, dietician or a food scientist but as I understand it, there is going to the presence of sugar in any baked good as flour is a carb that turns to glucose in our bodies. For the starter, the fermentation process lowers the glucose levels in the flour and milk (which is why sourdough is a great low GI alternative), but you’ll have to make the call when it comes to the ingredients you use for actual baking. Probably the best test for your family would be to actually measure glucose levels before and after, and see if even a low-sugar AFB is a possibility. Good luck and please keep me posted!